Democrat David Trone handily bested his Republican competitor in the race for Maryland's 6th Congressional District, keeping the seat securely in Democratic hands. The AP called the race shortly after 11 p.m. Tuesday. Trone, the multimillionaire co-founder of Total Wine & More, led Amie Hoeber, a defense consultant, 57.6 percent to 39.3 percent. 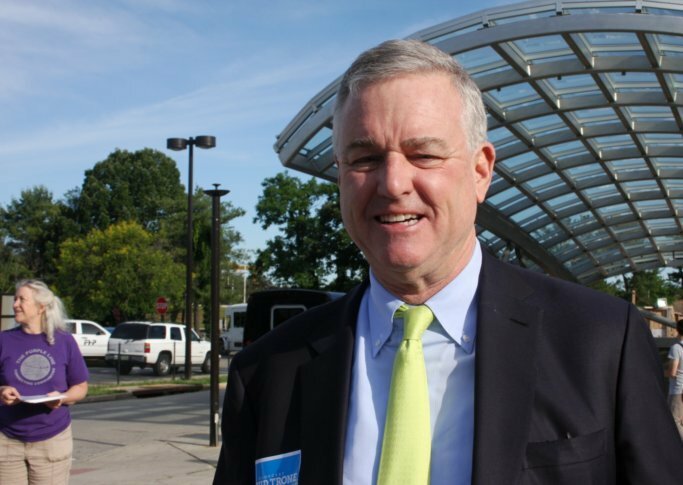 In a speech to supporters Tuesday night gathered in Montgomery County, Trone claimed victory. The congressional seat is currently held by a Democrat — Rep. John Delaney — who is stepping down to prepare for a 2020 presidential run. Maryland’s 6th District stretches from populous Montgomery County to the state’s border with West Virginia and includes Garrett, Allegany and Washington counties. Nationwide, Democrats flipped a number of House districts and were on track to pick up enough Republican seats to wrest control of the House from the GOP. It was a high-stakes race for the wealthy Potomac businessman, co-founder of an alcohol retailer. Not only did Trone put more than $11 million into the effort but he underwent cancer surgery and chemotherapy during this year’s campaign season. This is Trone’s second run for a congressional seat. In 2016, Trone ran for Congress in Maryland’s 8th Congressional District but was defeated in the Democratic primary. Meanwhile, in Maryland’s 1st District, the state’s lone congressional Republican Rep. Andy Harris, 61, was handily fending off a challenge from Democratic candidate Jesse Colvin, a 34-year-old U.S. Army veteran and former business consultant. With all precincts reporting results, Harris was led Colvin 60.5 percent to 37.6 percent.